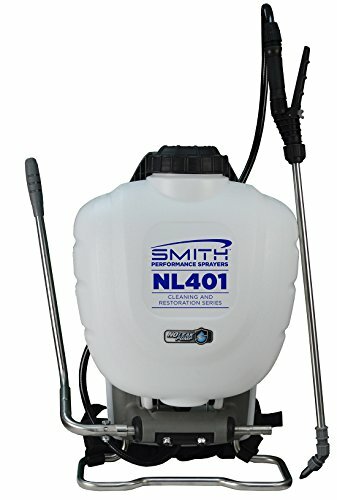 These backpacks sprayers for chlorine are also built to work with bleach and other disinfectants that you may need to use. Please note that you should never mix various chemicals together. Sprayers are specifically designed to withstand the harsh chemicals of chlorine and bleach so that the components of the sprayer will not erode, so you need to ensure that you are using a sprayer specifically decided for chlorine and bleach. 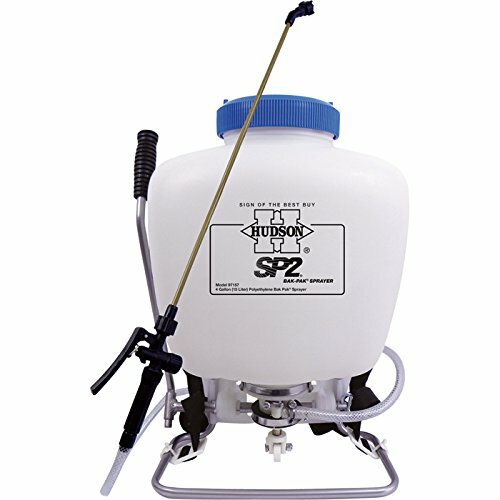 SP2 Piston Pump Bak-Pak Sprayer. The translucent 4 gallon poly tank makes it easy to see the amount of liquid in the container so you know how much is remaining. Seals are quality Viton seals. 20″ brass wand with adjustable brass cone pattern nozzle. Includes three plastic flat fan nozzles. Locking shut-off valve with in-line filter. 47″ industrial spray hose and a solid steel pump handle. The internal pump design will never leave chemicals dripping down your back. The internal paddles, activated by pump action, mix wet table powders and water-based chemicals alike. High grade Viton seals throughout the pump and shut-off allow this sprayer. Foldable pump handle reverses for left- or right-handed use and tank has a built-in carry handle with wand storage. It comes with a fully padded nylon harness and ab adjustable chest clip and lumbar support to keep the sprayer in place with no bouncing. 3 nozzles are included: adjustable poly nozzle, wide flat fan nozzle, narrow flat fan nozzle and high performance foaming nozzle. It also works with Tee Jet nozzles. 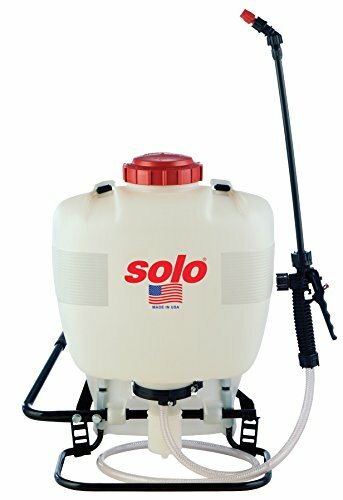 The Solo 425 4-gallon backpack sprayer hasan ultraviolet resistant tank, felt padded straps, a heavy duty pressure cylinder and reversible pump lever. It is made with corrosion resistant plastic, with no metal or rubber parts made vulnerable to chemicals. You can use it for disinfectants, fertilizers, herbicides, and pest control products for efficient tree, shrub, and plant protection. 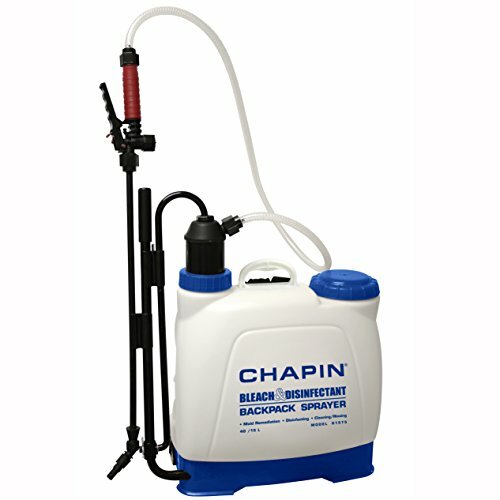 The Chapin 61575 Euro Style Backpack Bleach and Disinfectant Sprayer has the traditional look and feel of a backpack sprayer with padded shoulder straps. Designed for mold remediation or general clean up. Featuring a cushion-grip poly shut-off and 3 nozzles for a variety of applications.